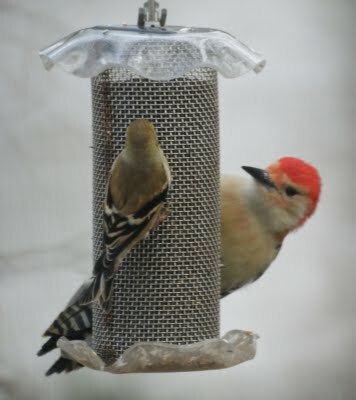 We were surprised to see a Red Bellied Woodpecker at the nyjer feeder. 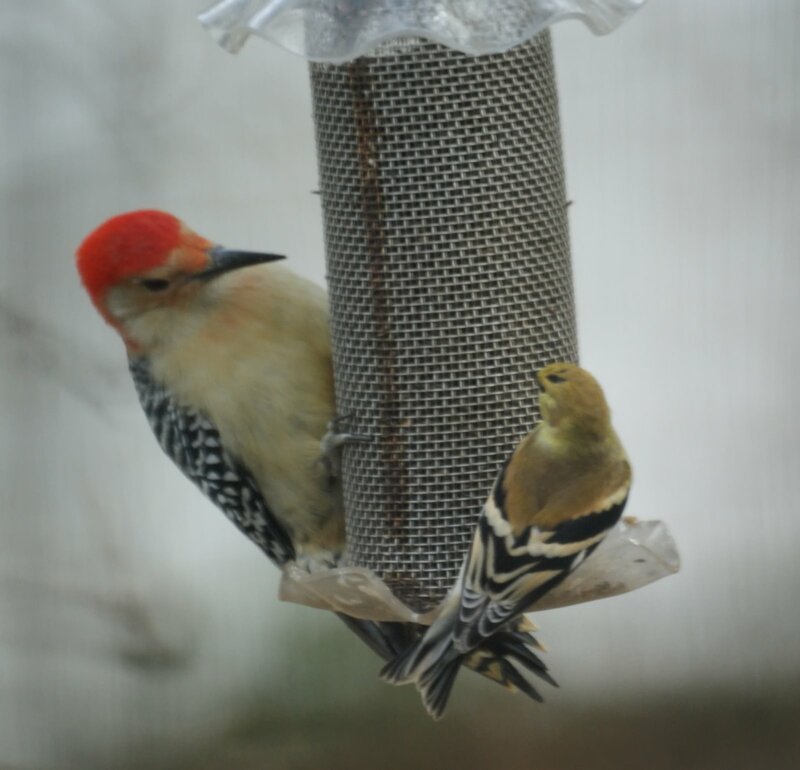 I think the goldfinches were surprised too. these shots are so funny. I have both birds in AR - but did not know that the goldfinch was also a winter bird - I finally got a feeder up for them just a couple weeks ago and they have came to my garden by the plenty :) Awesome color. 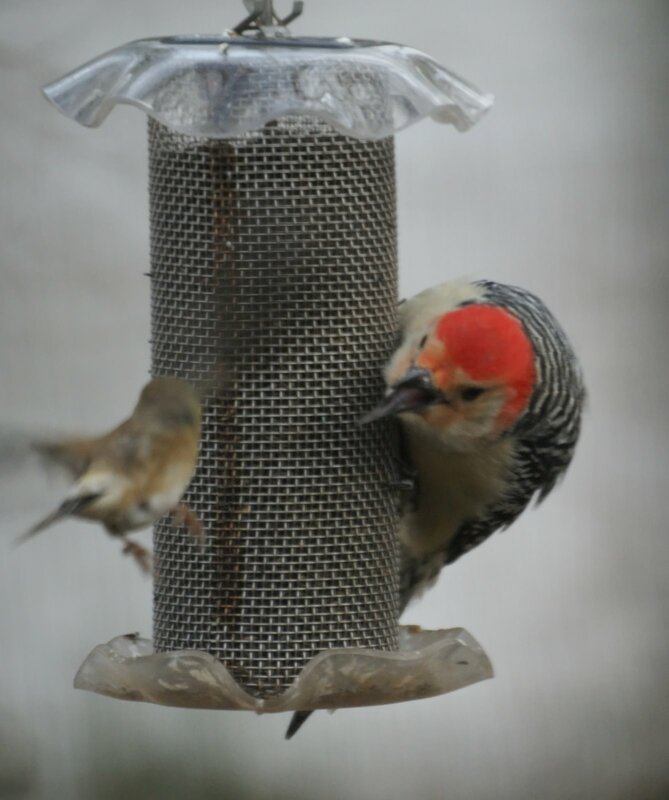 Can't believe that the woodpecker was on the feeder. 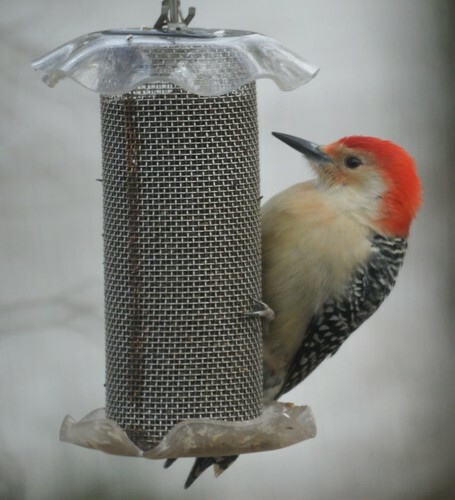 But I had one come to my windowsill this winter where I spread seed.